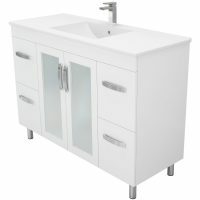 Ceramic Semi Recessed Vanity Top, White 2-pac Cabinet, Standard with Soft Close Doors, 16mm Thick Backing Board, Legs, kickboard or wall hung. 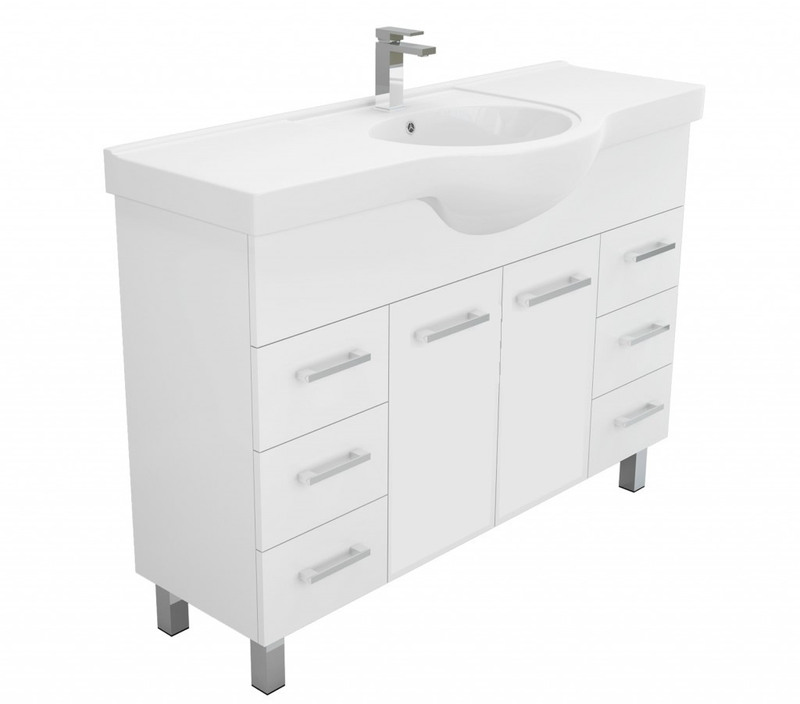 Give your bathroom a complete makeover with the incredibly stylish Charli Semi Recessed Solid Doors bathroom vanity. 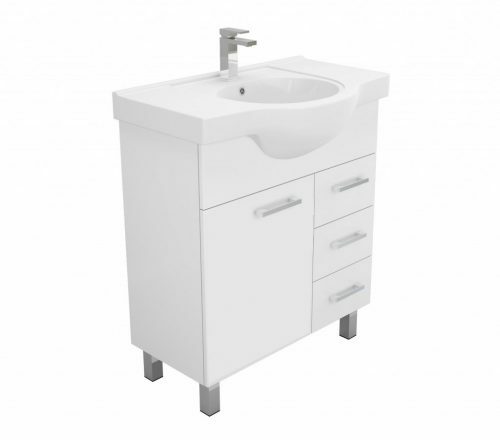 Featuring a brilliant white finish and designed for easy installation, it will not disappoint. The Charli Semi Recessed vanity is available in width options of 750mm, 900mm and 1,200mm to suit bathrooms of all sizes. 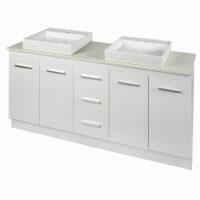 It can be installed as a wall hung vanity and is also supplied with legs or a kickboard. 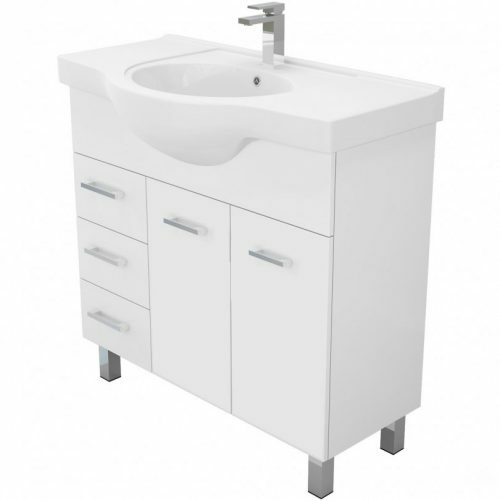 This bathroom vanity presents the ideal balance between form and function. It features a slim profile, with high gloss cabinets and soft closing doors. Moreover, it comes equipped with an adjustable shelf and includes an overflow as standard. 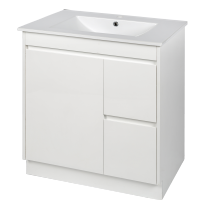 The Charli Semi Recessed vanity is manufactured to the best standards of quality using top grade china and features a solid back. It is highly durable and is built to withstand the rigors of everyday bathroom usage. Rest assured – this is a superior grade product that will offer you several years of usage. Stop looking for stylish bathroom vanities in Perth and choose the Charli Semi Recessed Solid Doors vanity. Purchase this product at a very reasonable price from our online store today!